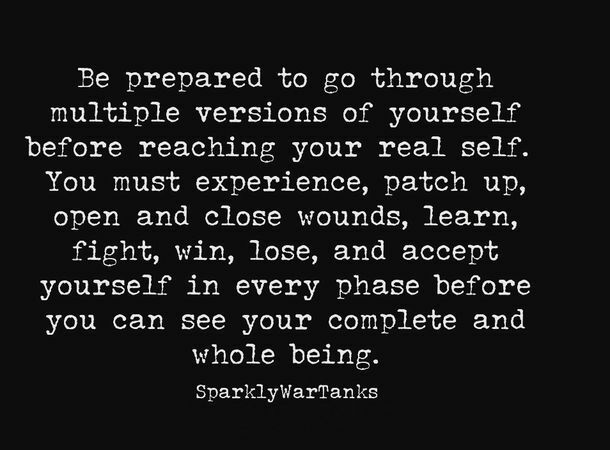 Be prepared to go through all of the phases of yourself. Be patient. Be awake. Be aware. Accept every step it takes in understanding who you are. The glorious finished product of you will be powerful and unstoppable. Keep your head up and take in everything life is throwing at you. Be motivated and willing to accept and love yourself while going through every moment. Victory and success of yourself is waiting on the other side. Be ready to accomplish who you are.